Our range of products include magnetic telescopic stick. 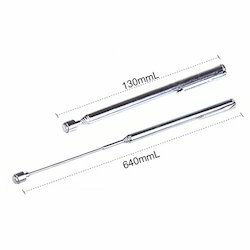 Magnetic Telescopic Pen is used for removing ferrous chips or particles from blind or tapping holes, corners or slots of machine table. Compact design uses strong magnets.